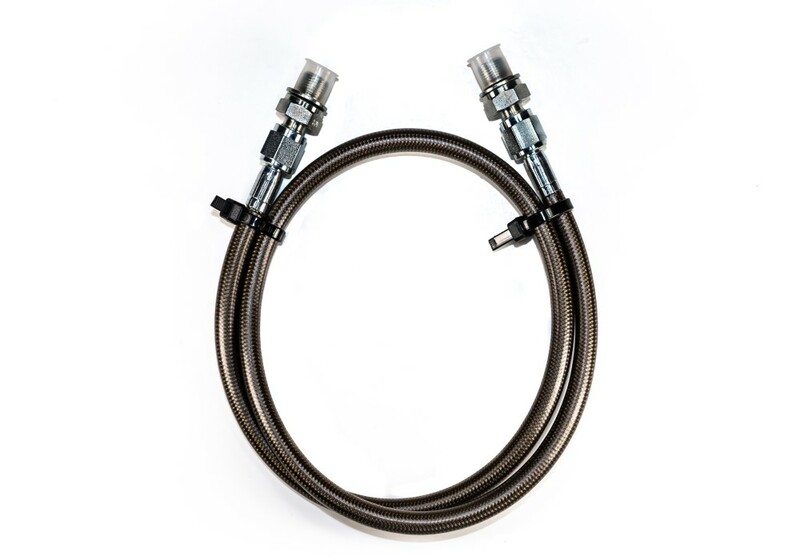 Our hydraulic clutch lines are fabricated using 304 stainless steel braided PTFE hose. The lines are available with a few different protective jacket choices; which makes them easy to clean and resistant to road debris. 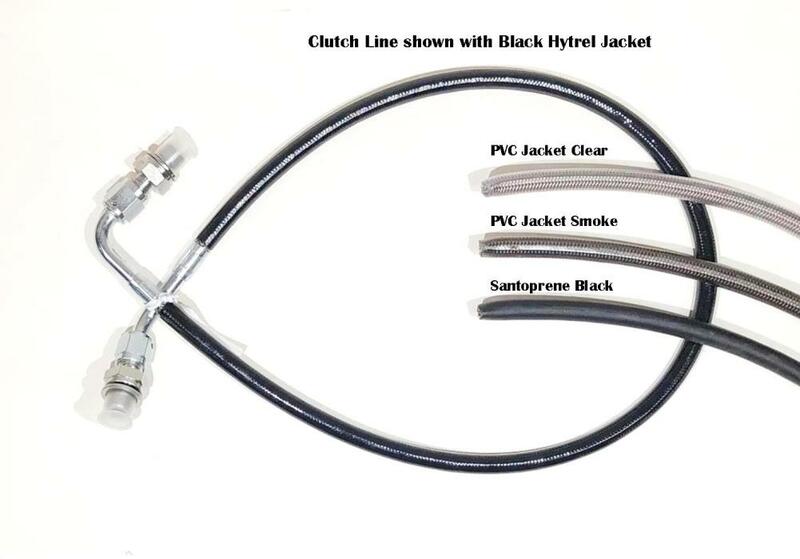 Our clutch lines are pressure tested to 3,000 PSI prior to packaging, because we want to insure you have a rock solid clutch line. Choose your jacket color when ordering. Acura Legend, 1991-95, 46 inch Clutch Line - PTFE Stainless Steel Braided with PVC jacket. 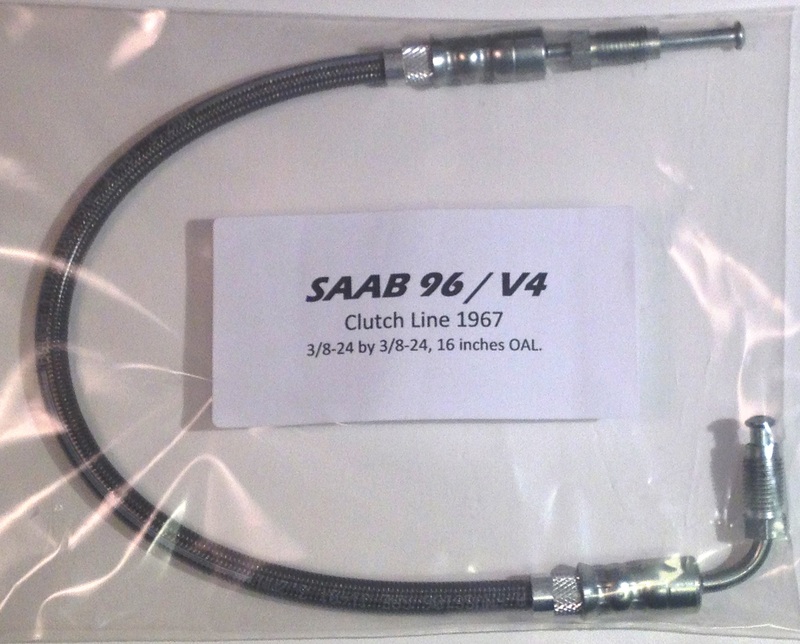 Acura Legend, 1991-95, 46 inch Clutch Line - PTFE Stainless Steel Braided with NO jacket. 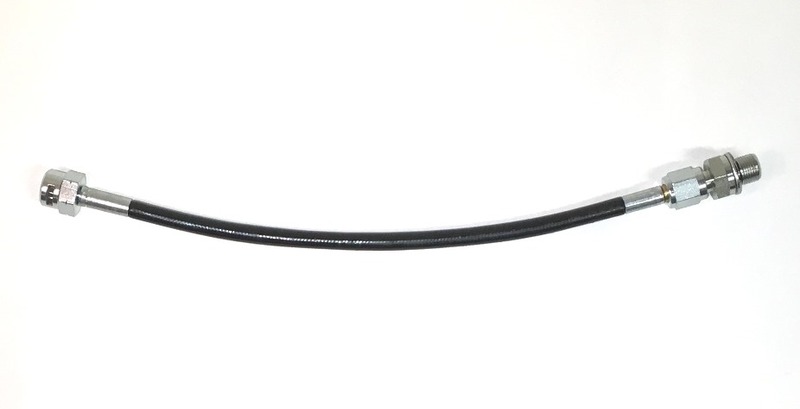 BMW 2002, 1969-75, (15 in) - PTFE Stainless Steel Braided Line with PVC Jacket. LOTUS ELITE, (16 in) - PTFE Stainless Steel Braided with PVC jacket. 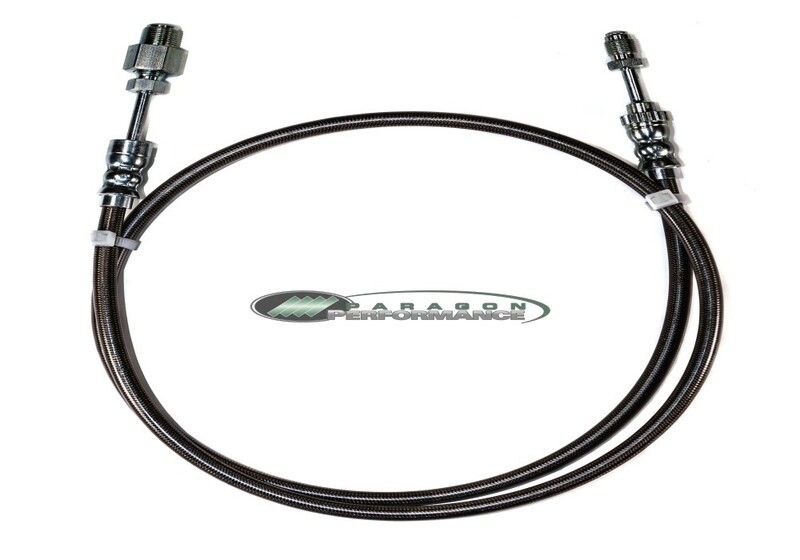 Clutch Line for 1957 Jensen 541, (11-3/4 in) - PTFE Stainless Steel Braided with PVC jacket. Morgan G4, 1959-70, (11 in) - PTFE Stainless Steel Braided with PVC jacket. 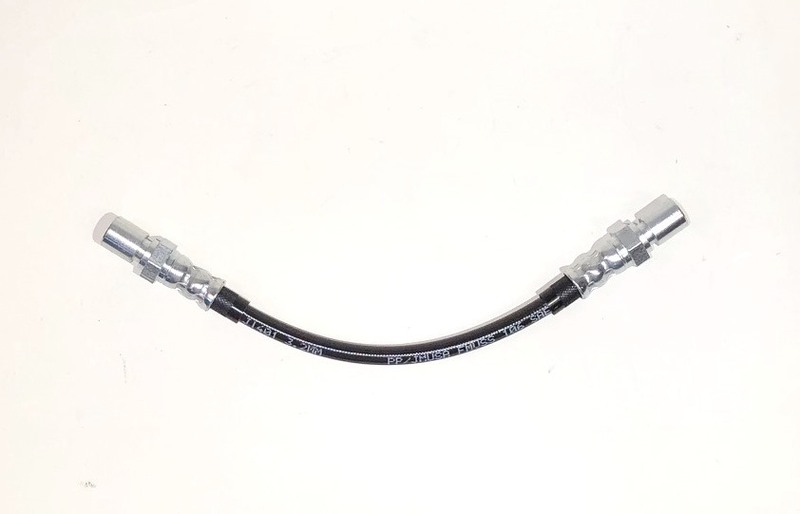 Toyota Cressida, 1983-87, (13-3/4 in) - PTFE Stainless Steel Braided with PVC jacket. 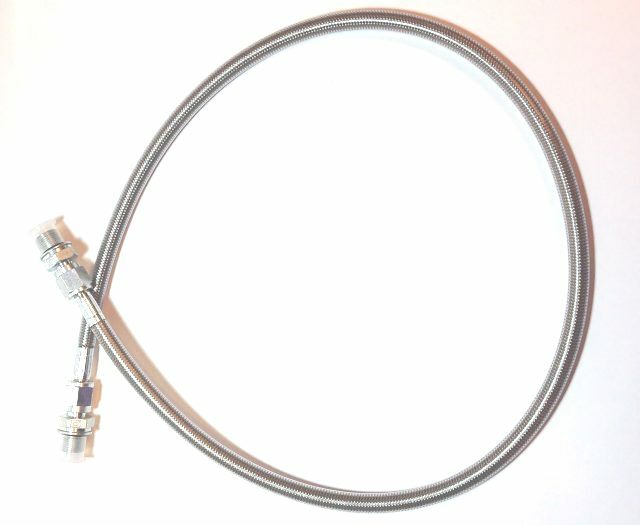 Toyota Supra, 1986-92, (13-3/4 in) - PTFE Stainless Steel Braided with PVC jacket. TVR 1974, (36 in) - PTFE Stainless Steel Braided with PVC jacket. TVR 1977, (38 in) - PTFE Stainless Steel Braided with PVC jacket. TVR Grantura, 1963, (13 in) - PTFE Stainless Steel Braided with PVC jacket. TVR Griffith, 1965, (13 in) - PTFE Stainless Steel Braided with PVC jacket. TVR Vixen, 1970-72, (36 in) - PTFE Stainless Steel Braided with PVC jacket. 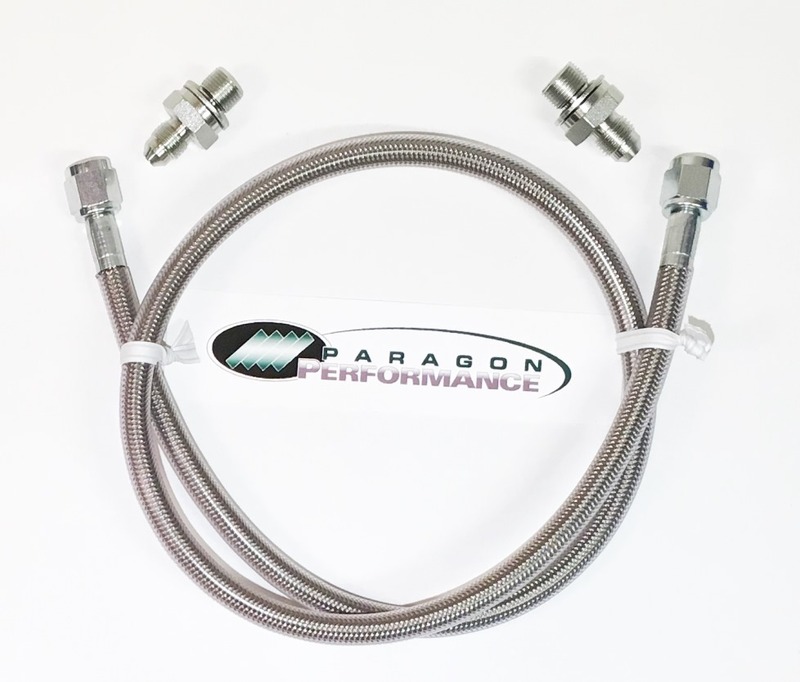 Honda Goldwing..GL1200 / 1500CL 1984-2000 - PTFE Stainless Steel Braided with PVC jacket.